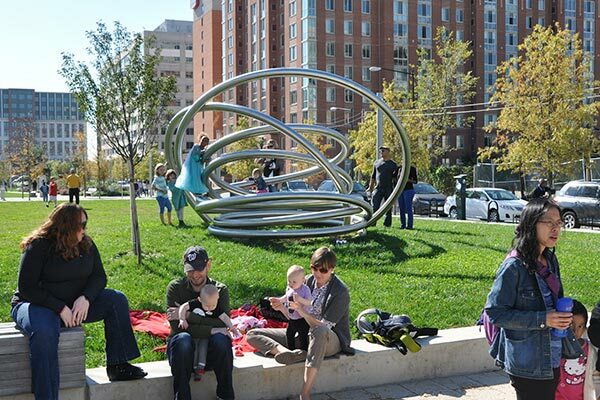 Canal Park is a 3 acre neighborhood-centric park that opened in 2012 as a model of sustainable design for an outdoor space. The park is home to seasonal markets and events, dancing fountains in the warmer months, and ice skating in the winter. Follow Canal Park on Facebook, Twitter, and Instagram. Here are other upcoming events in Canal Park. The Northern Block is home to a large open green space. This lovely spot is ideal for picnics, lawn games, tossing a ball, and open-format events. Canal Park’s Middle Block features grassy areas for play and relaxation, benches with A/C power for your laptops and mobile devices, water scrims to cool your feet in the summer, and a small stage which hosts bands and other small acts on a regular basis. The Southern Block is Canal Park’s culinary and social hub. Atop the restaurant space sits the Light Cube, containing color-change lights and three projectors with various multimedia possibilities. Seasonal features include the popular Dancing Fountains in summer, and the Canal Park Ice Rink in winter. A sustainable and green neighborhood gathering place. 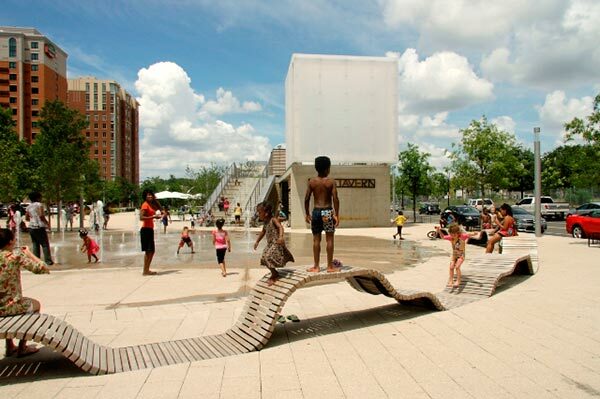 Built on the site of the historic Washington Canal, Canal Park offers an unparalleled opportunity to enjoy a unique three blocks of urban space with seasonal ice skating, interactive water fountains, and larger-than-life sculptures. 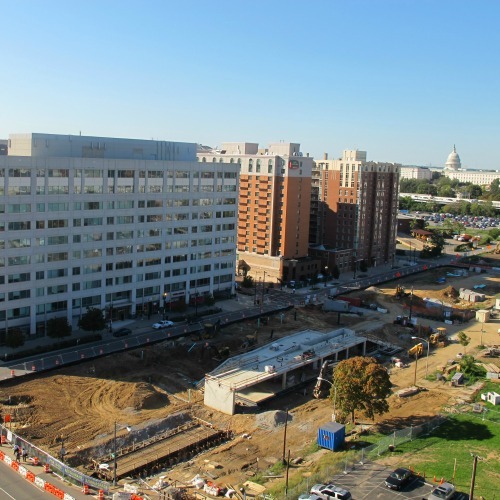 From 1815 to the 1850s, the historic Washington City Canal connected the Anacostia River and the Potomac via the National Mall. In the early 1900’s, the Washington Canal was paved over to create Canal Street. 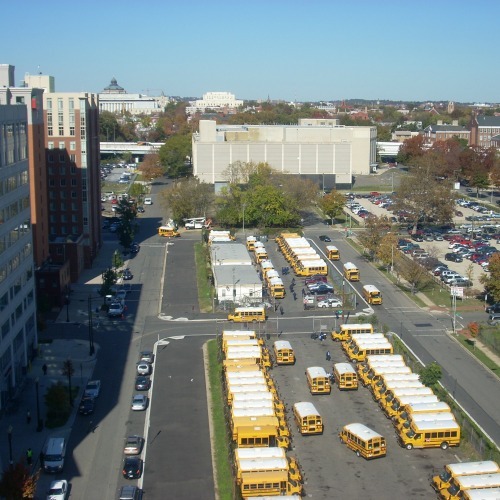 Ownership of Canal Street was transferred to the District of Columbia and utilized for several interim purposes, including a parking lot for DC Public School buses. 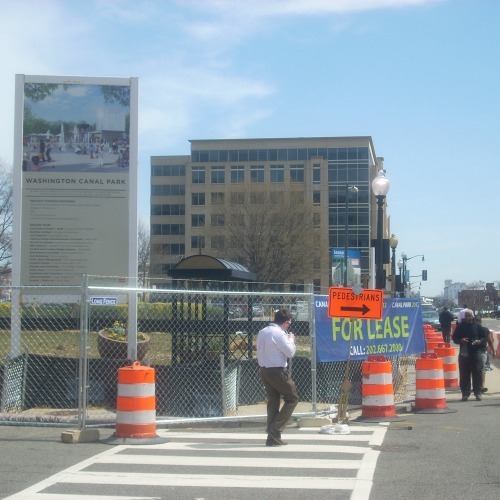 In 2000, DC developer WC Smith formed the nonprofit organization Canal Park Development Association (CPDA) to secure the site and oversee development of the park. 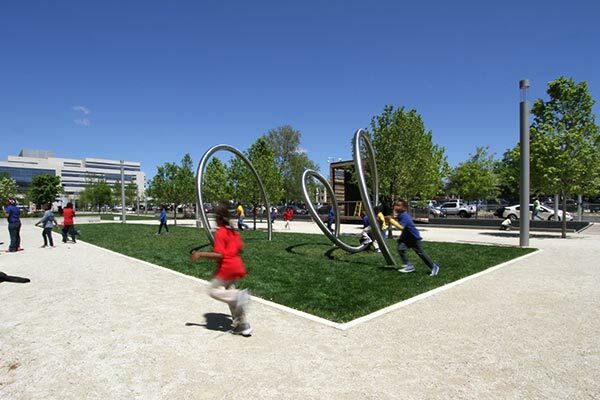 WC Smith, along with the Anacostia Waterfront Corporation (AWC) and the District’s Deputy Mayor for Planning and Economic Development (DMPED) commissioned a design competition that shaped several initial elements of the park. 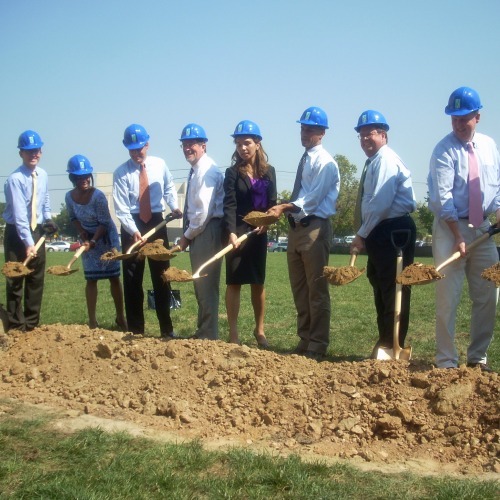 A groundbreaking ceremony for the construction of the park was held in 2010. 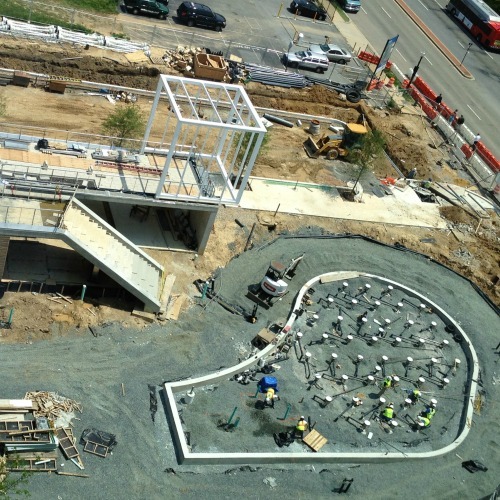 Canal Park’s design evokes the history of the area with a linear rain garden reminiscent of the Washington Canal and three pavilions which recall floating barges that were once common in the canal. During the winter, the southern block becomes an outdoor skating rink. During the summer, that same block features a 42 jet dancing fountain. Bubbling rain gardens and water scrims in the other blocks call out to the site’s historic canal heritage.